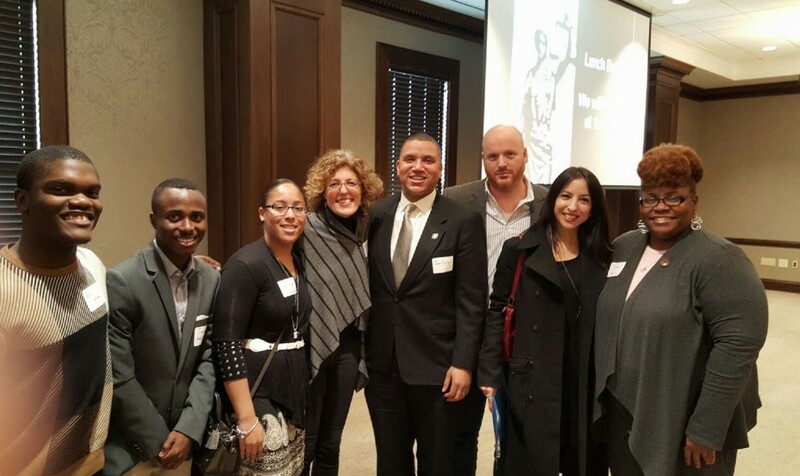 The 2016 TADP Student Conference on the Death Penalty once again managed to combine powerful personal testimony, overwhelming evidence, and tools to make repeal a reality, all in a single day. You could have heard a pin drop on Saturday morning, when Nebraska native Miriam Thimm Kelle shared her story about the horrific death of her brother James Kelle. James was tortured for three days and murdered in notorious cult killing when he was only 25 years old. Kelle talked about the excruciating thirty-year process of appeals her family endured as the state sought the death penalty for James’ killer, Michael Ryan. Kelle movingly shared about how her experience with the death penalty drove her work with the Nebraska legislature to enact death penalty repeal in 2015. Her work continues, as the issue will be voted on in a referendum this year. Following Kelle’s presentation, the panel “The Changing Conversation on the Death Penalty” dissected the system, highlighting the flaws and the growing call for repeal from increasingly varied constituencies. Journalists Radley Balko and Liliana Segura, public defender Alexis Soler, and Tennessee Conservatives Concern Coordinator Amy Lawrence detailed points from their unique perspectives on the continuing momentum against the death penalty, including insights on legal procedure, forensic evidence, and dialogue among conservatives. A call to action concluded the conference, asking all the participants to attend Justice Day 2016 on March 9th, to speak with lawmakers about their concerns. A big thanks goes to everyone who participated in our conference this year. We hope to see you as we continue our work for death penalty repeal! Fairly, there are numerous aspects you would like to think about medications. All discount medicaments save money, but few online drugstores offer better deals than other online drugstores. There isnвЂ™t anything you canвЂ™t order online anymore. Remedies like Deltasone ordinarily is used to treat diseases such as eye problems. Glucocorticoids naturally occurring steroids, which are easily absorbed from the gastrointestinal tract. There are varied drugs for every conditions. Cialis is a remedy prescribed to treat many illnesses. What do you already know about long term side effects of cialis? What consumers talk about how long does it take for cialis to take effect? A general sexual claim among men is the erectile disfunction. Sexual problems mostly signal deeper problems: low libido or erectile dysfunction can be the symptom a strong health problem such as soul trouble. Albeit the erectile disfunction itself isnвЂ™t necessarily dangerous, erectile disfunction is sometimes one of the early warning symptoms of other underlying heartiness conditions that can be highly dangerous. Unfortunately nearly all over-the-counter medicines have sometimes dangerous aftereffects, from muscle aches to death. If you buy any erectile disfunction medicaments like Cialis, check with a physician that they are sure to take with your other drugs. Do not take unwanted medications. Take Cialis to your local chemist’s shop which will dispose of them for you.